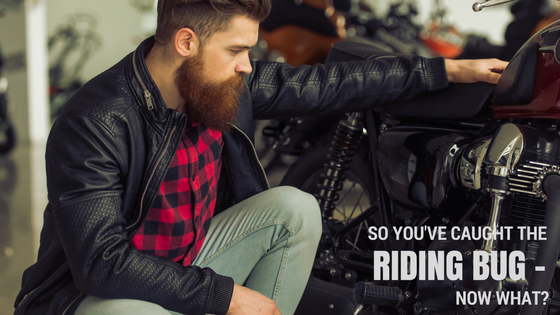 You’ve taken the classes, received your motorcycle license, and you’re ready to commit to the riding lifestyle - well it’s about time. Jokes aside, we’re pumped you’ve finally joined us, and now it’s time for the fun part - finding the perfect ride. It’s not always easy picking out your first bike, but we’ve got your back. Check out our advice on steps to take and what to look for when choosing your first motorcycle. 1. Ask yourself what kind of riding will you be doing? It’s important to take some time to consider the type of rides you want to take on your new bike. Are you planning on taking long distance trips? Are you looking for speed? Are you riding as your daily commute? There are tons of different bikes out there, so it’s crucial to know upfront what you want from your new bike. Trust us, it’ll make the process of choosing a bike type a lot easier. Cruisers - When most people think of cruisers, they think of Harley Davidson, and rightfully so. But Harley isn’t the only brand embracing this style, other major manufacturers have cruisers in their lineups as well. Cruisers are designed for laid-back, relaxed riding. They have low seats, often in a reclined position with feet forward riding. Adventure/Touring Dual Sports - Adventure/touring bikes usually have large fuel tanks that can provide plenty of range on a long distance ride. These bikes are super comfortable with their upright posture and comfortable seats. They have both on-road and off-road capabilities as well as long suspension travel. Choppers - Some common characteristics of choppers are extended forks, low reclined seats, and longer front ends. Choppers stand out from the crowd and usually look different from typical factory models. These bikes favor personality over comfort and are usually chromed out and customized. Scooters - Scooters are like small motorcycles with a step-through frame. Drivers can sit with their legs together and their feet on a floorboard. Vespa is one of the most common and widely known scooter brands. Scooters are an economical option for riders and have engines that range from 50 to 250 cc. Sport Bikes - Sport Bikes are less focused on comfort - they’re made for speed, acceleration, and thrill. These high-performance motorcycles have higher foot pegs and seating that pushes the rider forward, over the tank. Standard - Standard motorcycles or “naked motorcycles” are known for their upright riding position. Their handlebars and foot pegs are positioned so riders can be comfortable without having to reach too far forward. These bikes have a retro feel and mid-ranged engine sizes - a great option for new riders. Touring Bikes - A touring bike is for - you guessed it - touring. These bikes are designed for long-distance rides with their big fuel tanks and comfortable seats and backrests. They usually come with built-in windshields and navigation systems. 3. New or Used? Another factor to consider when buying your first bike is whether you want a brand spanking new bike, or if you would consider a used option. First off, you’ll need to empty out that piggy bank and see the type of budget you’re working with. If you are on a fixed budget, buying used might be the way to go, and believe us when we say there are some awesome used bikes out there. Before buying used, you’ll want to make sure you get all the information on the bike’s current condition, any maintenance required, and a full report of the bike’s service records. And on the other hand, if you’re working with a more flexible budget, there’s nothing like riding off the lot with a brand new ride - plus, these typically come with warranties and maybe even some service perks built in to the purchase price. New or used - there are tons of killer options out there. 4. Take a look online - Once you’ve figured out the type of bike you want, do your research and scope out bikes that are for sale near you. And here’s a not so shameless plug - CycleTrader.com has more bikes for sale than any other site, so that’s definitely a good place to start - and we’re not just saying that because we work here. 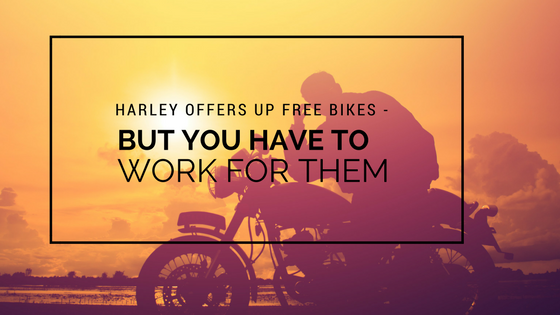 On the site, you’ll have the option to search by make, model, type, new or used - with thousands of bikes for sale, you’ll find the right bike for you. If you like to take your time when searching for your new ride, you have the option to star your favorite bikes and get similar listings sent to you. 5. Take a test drive - As a new rider, taking a test drive before buying is extremely important. Before you shell out the cash you want to make sure the ride is perfect for you and your needs. By actually going for a ride, you can determine if you like the bike’s control, style, comfort, weight, etc. Make sure to take it slow on your first ride - this is your opportunity to really feel out the bike. While you’re at the dealership it’s also a good idea to take a walk around of the unit to make sure the bike is in the exact condition you expected. It might take some time, but once you find the perfect bike for you, you’re going to love the new sense of freedom riding gives you - there’s really nothing like it. So, welcome to the club - we’ll see you out there. As you know, the moto industry is always changing so there’s always something new to report. 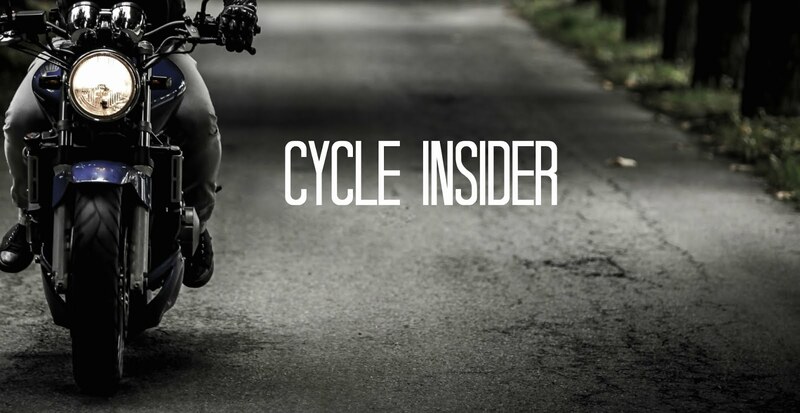 This month, we’ve selected 5 motorcycle-related stories we think are too interesting to miss. Check out the latest April headlines below. Honda Reveals New Two New 2019 Units - Honda recently revealed two new units to the U.S market. These units will be an addition to their lineup of small-displacement, user-friendly models. 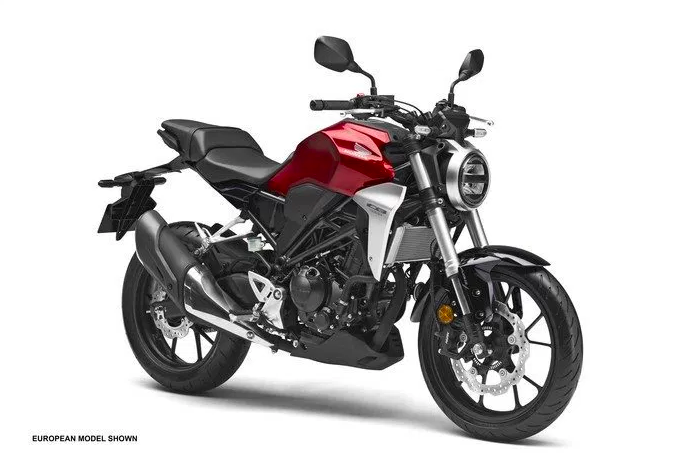 The entry-level CB300R Neo Cafe motorcycle will be available in July and boasts increased performance and embodies motorcycle culture and urban fun - aiming to appeal to a younger generation of riders. The PCX150 scooter, with a revised engine and a premium look, will also be available in July. We can’t wait to see these new models out on the road. Read More. 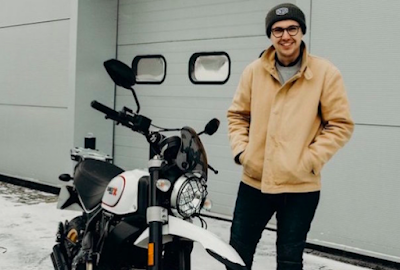 BMW's Top Designer Joins Indian Motorcycles - Ola Stenegärd, BMW’s former Head of Vehicle Design, has joined the Polaris owned, Indian Motorcycles. Stenegärd plans on developing Indian’s range of cruisers and flat-trackers in his new role as Director of Product Design. 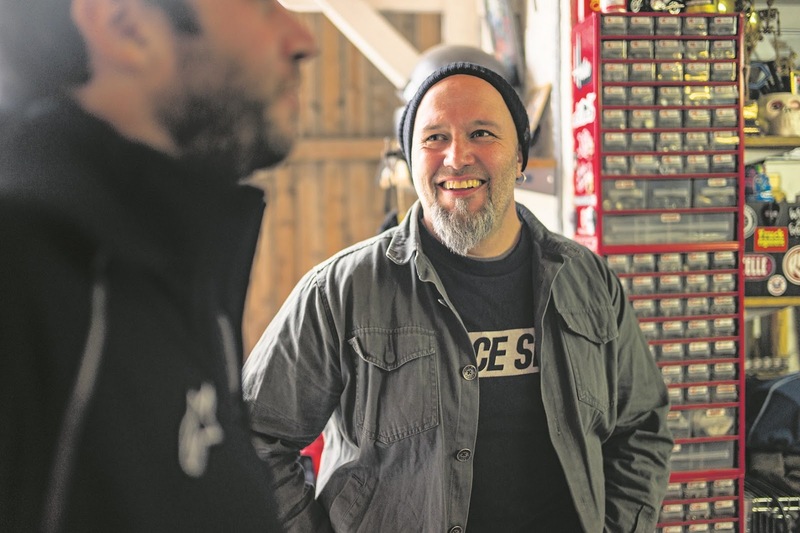 Despite having a strong background in sport bikes, his real passion is American muscle. We’re excited to see how he plans to shake up Indian’s current lineup. Read More. 22 Year Old Set to Ride Around the World - Henry Crew of the UK has set off on an epic motorcycle ride across the world. During his trip, he’ll ride 35,000 miles that will span 6 continents and 35 countries over the next year. Crew is riding for the Movember Foundation, which focuses on men’s health issues. He’s hoping to fundraise for each mile he rides and we are all for it. Good luck, Henry. Read More. Polaris Recalls Model Year 2015-2018 Slingshot Models - If you’re a Slingshot rider listen up. 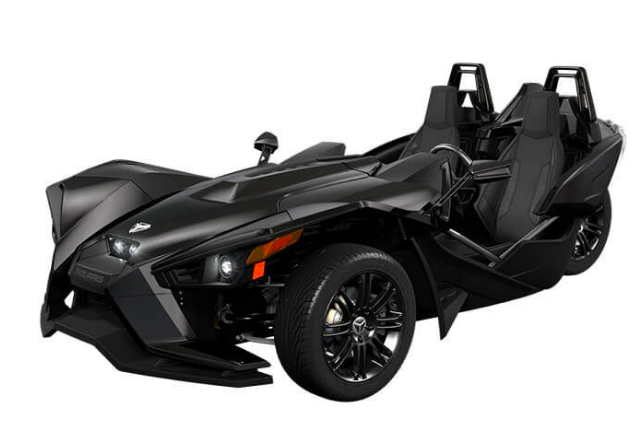 Polaris released a statement saying a small number of Slingshot vehicles may have been manufactured with improper seat base frame welds, that could increase injury in a crash along with other concerns. This recall affects Slingshot S, SL, SLR, and Grand Touring models. Be sure to check and see if your model was included and stay safe out there. Read More. AGV Releases First Full Carbon Fiber Modular Helmet - AGV is a household name in the world of motorcycle racing. Their helmets have been used for decades, but they haven’t slowed down one bit. 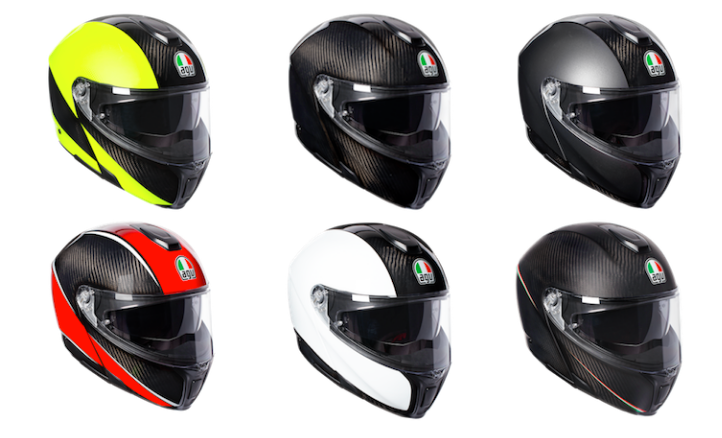 AGV recently unveiled a new helmet, the AGV SPORTMODULAR. This new helmet combines their top-notch racing model features with an everyday modular lid just under 3 pounds. This helmet is for riders who want a sporty design with comfort, and safety. We think it’s going to be a popular choice. Read More. 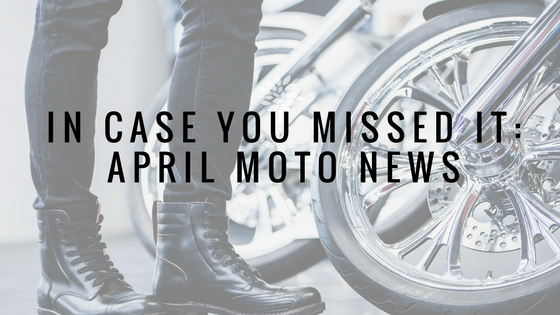 There you have it - five April motorcycle stories you needed. Let us know your opinions and thoughts on these stories in the comments below. Are you ready to get your bike out of storage and get back on the road? We definitely are. Lucky for both of us, there are tons of great rides to take as the weather gets nicer and we’ve done the dirty work for you. Check out our list of East Coast rides that will get you amped to get back on your bike after this never-ending cold season. Coastal Route One (Maine) - Let’s start from the top (literally). If you’re ready to get the full-on New England experience - this ride’s for you. The smell and taste of saltwater will hit you right off the bat, considering most of this highway is bordered by coastline. 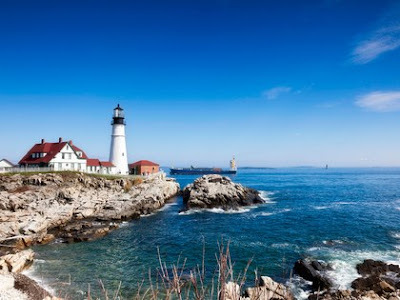 You should take the Brunswick to Machias route which is a two-lane, 167-mile ride full of seaside towns, lighthouses, and beaches galore - you couldn't be bored if you tried. You’ll want to bring a jacket because the ocean breeze can be cool, even in spring and summer months. Don’t forget to grab a lobster roll at one of the many shacks along the way - trust us - they’re worth stopping for. Route 6 (Pennsylvania) - Northern Pennsylvania has a lot to offer riders, including Route 6. This route will make you feel like you have gone back in time - as you pass small towns, local diners, and coal mines. The trip also offers great scenery and includes long rolling hills and sweeping turns - ideal for riders. 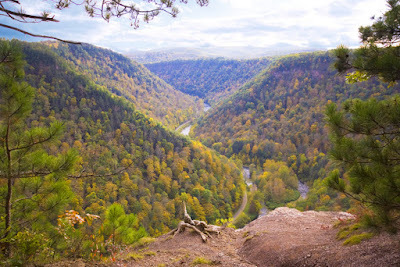 One of the major highlights of the trip is The Pine Creek Gorge, also known as the Grand Canyon of Pennsylvania. The Gorge is 50 miles long and over 1,000 feet deep with awesome views you can see while riding the rim of the canyon. Keep in mind, this is a longer ride that might require a few days depending how many stops you plan on making. Blue Ridge Parkway (Virginia & North Carolina) - The Blue Ridge Parkway is one of the top riding areas in the country, with thousands of riders visiting each year. 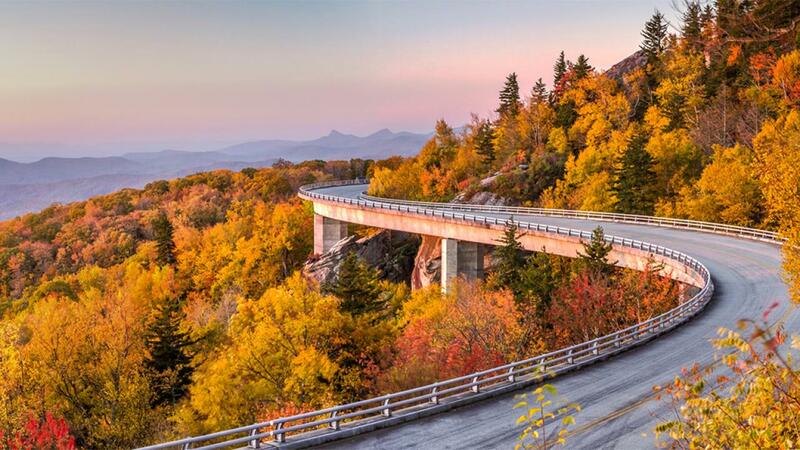 The parkway is home to 469 miles of winding roads surrounded by the scenic Blue Ridge Mountains. You’ll experience tight curves and steep hills on this exciting ride and to top it off, killer views. You can’t be too much of a speed demon on this road considering the speed limit doesn’t exceed 45 mph - but trust us, with all the twists and turns you’ll feel like you’re flying the whole ride. This is another ride that can take a few days, but will give you tons of time to really soak in the sights. 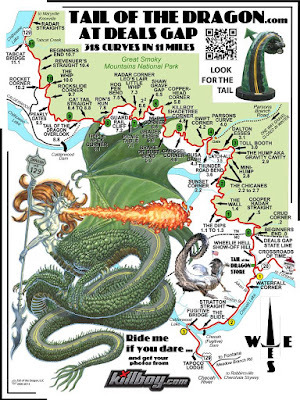 Tail of the Dragon, Deal's Gap (North Carolina) - The Tail of the Dragon is a well known “ride” in North Carolina that we couldn’t leave off our list. 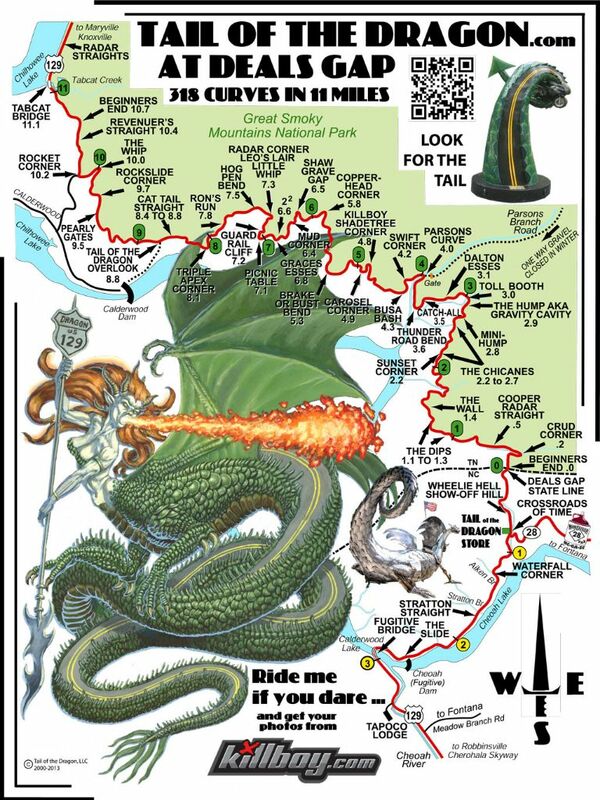 This top motorcycle destination is a quick 11 mile stretch on US 129 at the Tennessee/North Carolina line, and is home to a whopping 318 tight curves. It might not be a long ride, but it’s sure to leave your heart pumping. Are you ready to tame the beast? 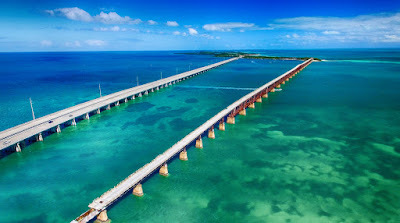 The Florida Keys Scenic Highway (Florida) - The Florida Keys Scenic Highway is a 110 mile stretch of road that has that summertime vibe and weather all year round. The ride starts at Mile Marker 110, down to Mile Marker 0 in Old Town Key West. During this ride you’ll be surrounded by palm trees and the blue waters of the keys, not to mention awesome beach bars and restaurants on nearly every block. The highway finishes with a 5 mile stretch of road where you’ll see nothing but clear water on each side of the highway. You can’t beat a warm weather ride, and to top it off you’ll beat your buddies to that summer base tan in no time. 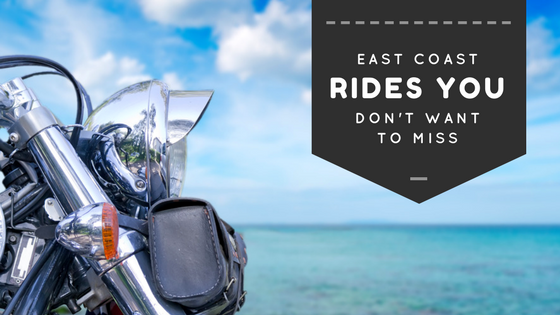 So, pack up your saddle bags and check out one, two, or even all five of these awesome East Coast rides. What are some of your “can’t miss” rides to take this upcoming riding season?